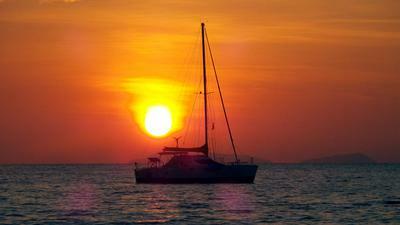 This catamaran 'Vimala' is ready to sail and is already located in the beautiful sailing base of Phuket Thailand ready for you to create your own amazing adventures. If you wish those adventures further afield from Thailand and neighbouring exotic countries this boat can take you around the world, and in comfort with a 90cm bridgedeck clearance and spacious saloon and 4 double cabins. 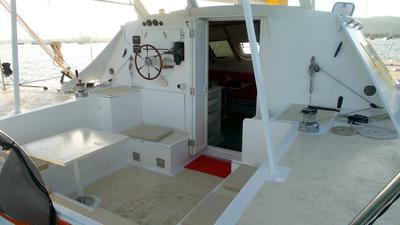 Competitively priced at EUR99,000 (currently less than USD 125,000) and ready to sail. 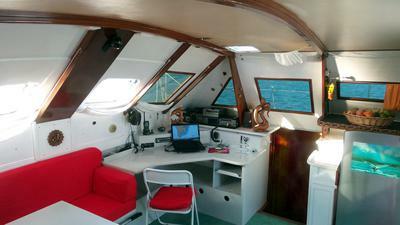 With this boat you can live your dreams. 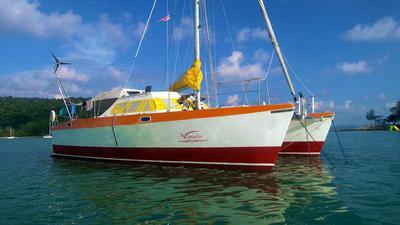 We hope that the Vimala will find new owners who use the boat as a cruising boat and appreciate it as much as we do.